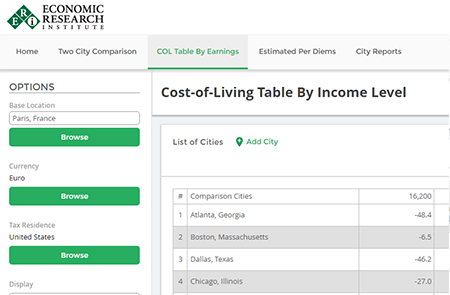 ERI's Relocation Assessor makes it easy to compare cost of living among cities and regions. 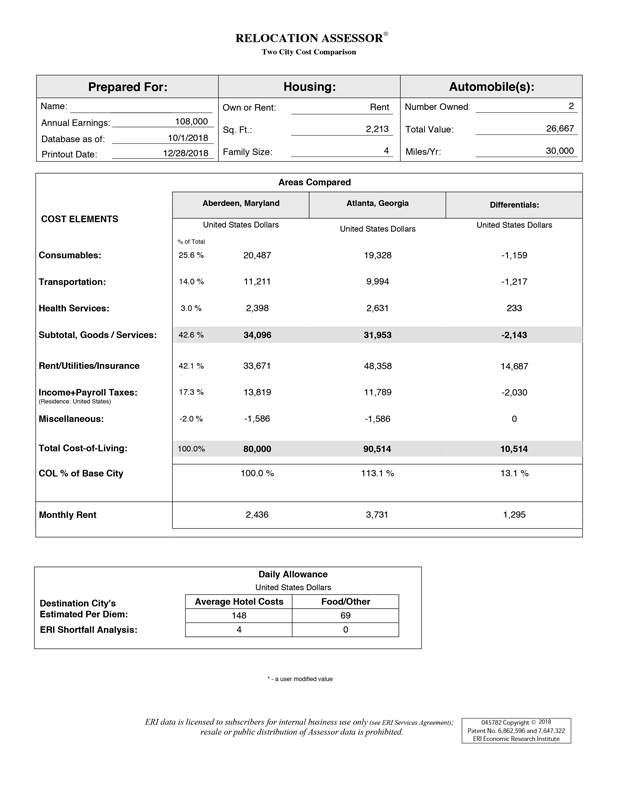 View cost of living differentials based on earnings level, home size, home ownership or rental, family size, number of autos, and automobile value, anytime online. 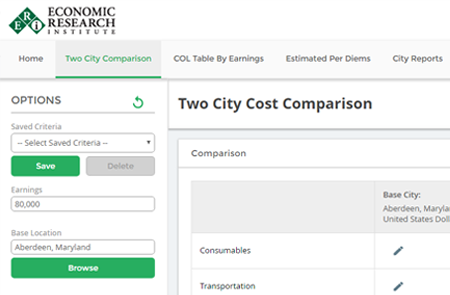 Calculate cost of living differentials between two cities. Analyze projected changes in annual expenses for any earning amount up to $1 million. Compare rental and homeownership costs for desirable locations between a base and destination city. 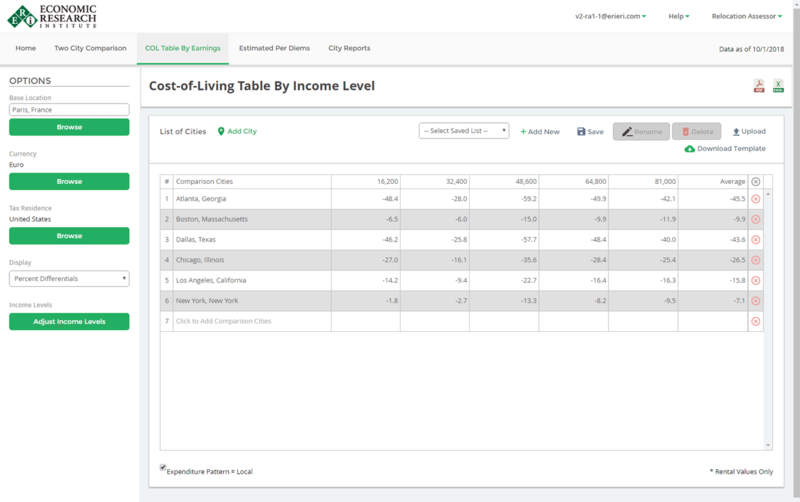 Compare the cost of living between metro areas or cities within commuting distance of an office by combining multiple cities into user-defined averages. Cost of living data for these regions can then be compared with one another or with single cities for precise relocation analyses. 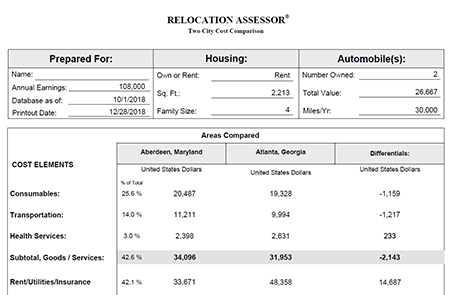 Create PDF reports with summary data based on custom inputs, including short-term and long-term housing costs for popular business cities. 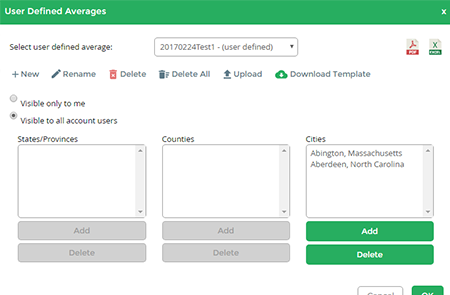 Export data to Excel for analysis. Create and save profiles for customized documents. 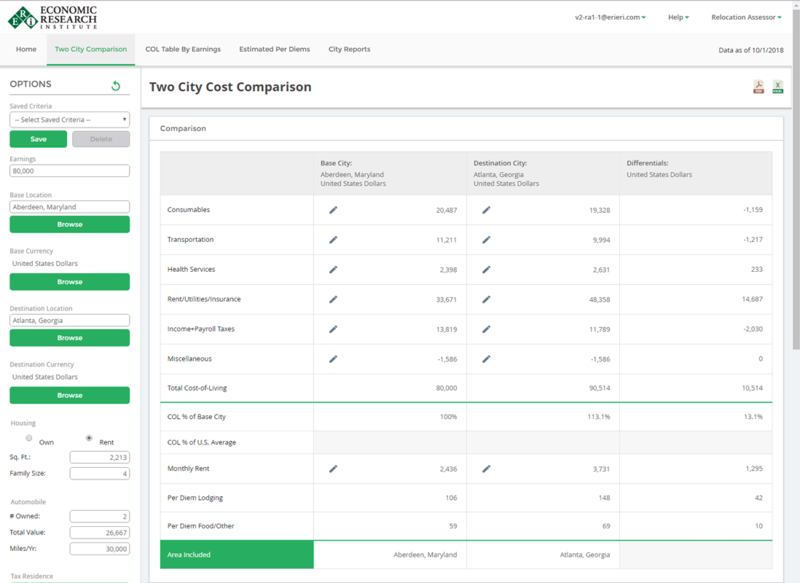 Compare salary differentials for multiple income levels and locations at once. Contrast cost of living for multiple earnings levels in up to 1,000 cities at a time as compared to a base area such as a headquarters or a national average.